Doctor, will you do my operation? Is the surgical trainee a risk factor for surgical complications? Last week, I came across a most courageous article by a Canadian ophthalmology (surgical) trainee . Dr McAlister from Toronto describes a situation where she removed a cataract from a patient’s eye but efforts were made to make the patient believe that not she, but a qualified specialist actually conducted the operation. Understandably, she expressed her concern that the surgical team had pretended a qualified specialist performed the operation and hence, that both were deliberately misleading the patient. While I have never worked in Canada, Dr McAlister suggested that this process was prevalent throughout multiple specialties in her country. Why are surgeons (covered by hospitals) lying to patients about this? The answer is simple: our aspiring surgical colleague suspects that operations carried out by surgical trainees attract a higher surgical complication rate than operations carried out by specialists. She argues that the status of the surgeon (being a trainee) is a risk factor for developing adverse surgical outcomes. However, she does acknowledge that it is difficult to know to what extent trainee participation increases complication rates. I am unaware of good-quality evidence suggesting that operations performed by trainees have a higher risk of surgical complications. At the Queensland Centre for Gynaecological Cancer we analysed our first 120 consecutive cases of Total Laparoscopic Hysterectomy (TLH) and published the results in 2007 . We compared surgical outcomes of the first, second and third group of 40 patients who needed a TLH for endometrial cancer or benign gynaecological conditions between 2003 and 2004. Overall intraoperative injuries decreased from 20% to 10% to 7.5% in the first, second and third group of patients, respectively. Postoperative complications were double as high in the 2nd group compared to the 1st and the 3rd group of patients. Given all cases were performed in the public hospital setting, we also analysed how many cases we assisted the trainees and fellows. The rates were 20% in the 1st group, 32.5% on the 2nd group and 42.5% in the 3rd group of patients. Overall, we felt that in time we agreed to supervise trainees to operate on increasingly challenging cases without compromising patient safety. In addition, we concluded that an operation performed by the trainee under the direct supervision of a qualified specialist did not increase the risk of surgical complications. I am very happy to admit however, that the data I quoted only partly addressed the issue of surgical morbidity through trainees. In order to hold a meaningful conversation with patients about trainee participation, Dr McAlister requests transparency and disclosure of procedure-specific complications rates. However, this will require surgeons and their trainees to become aware of the incidence of their procedure-specific complication rates. This is at the same time the biggest obstacle in answering this burning question. Generally, surgeons across the globe are unaware of the incidence of their surgical outcomes. 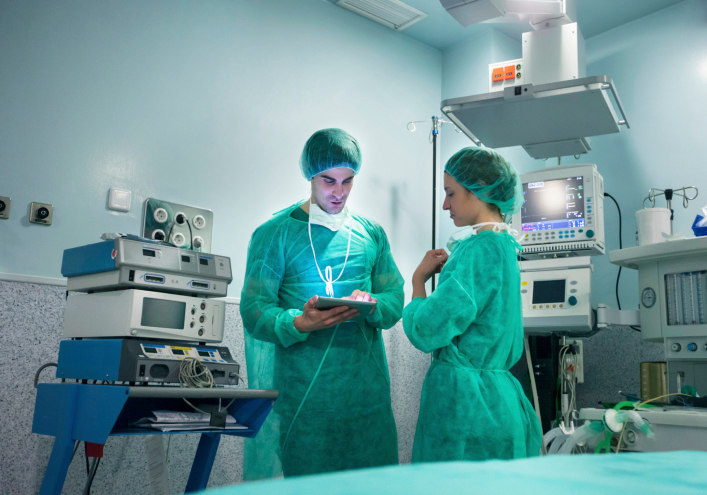 Surgeons are not only unaware of the incidence of surgical complications but also of the covariates (e.g., patients age, co-morbidities, ASA score), leading to an increased risk of adverse events. It is widely accepted that variation of surgical outcomes may not only be explained by individual surgeon factor but more so by patients, disease and system factors . Adjustment for these confounders is critical. We have been involved in a novel way to collect information about surgical outcomes from both, trainees and specialists . The project is international, web-based and provides specific, measurable and comparative feedback on surgical outcomes to trainees and qualified surgeons. Data on confounding factors are collected; the project is designed as a community of users; its primary aim is not to make profit; its primary aim is to assist surgeons with feedback. Results are confidential and no one other than the surgeon will have access to a user’s data. With SurgicalPerformance, several statistical methods are used to compare surgical outcomes with comparison groups and to display the incidence of adverse events over time. Large parts of SurgicalPerformance are also free to use. What is your opinion on surgical trainee a risk factors for surgical complications? Please feel free to share insight into your own experiences. Garrett A, Nascimenta M, Nicklin J, Perrin L, Obermair A: Total laparoscopic hysterectomy: The Brisbane learning curve. Aust New Zealand J Obstet Gynaecol 2007; 47: 65-9. Kondalsmay-Chennakesavan S, Bouman C, De Jong S, Sanday K, Nicklin J, Land R, Obermair A: Clinical audit in gynaecological cancer surgery: Development of a risk scoring system to predict adverse events. Gynecol Oncol 2009; 115: 329-33.